COLUMBIA, Mo. –Meningococcal disease, commonly known as meningitis, is a rare but serious – and potentially deadly – bacterial infection that poses a higher risk to college students living in close, residential settings. A University of Missouri health expert advises college students living on campus to take steps to protect themselves from contracting meningitis and to react quickly if they or someone they know is experiencing symptoms. Missouri Gov. Jay Nixon recently signed a bill requiring students who attend public colleges and universities and live in on-campus housing to get vaccinated against meningitis starting July 1, 2015, unless they have medical or religious objections. 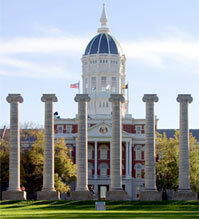 MU already requires students living on campus to get meningitis vaccinations. Even recommends following the Centers for Disease Control and Prevention recommendation that those who have not been vaccinated since age 16 should get a booster shot. Students may contact the MU Student Health Center or their home physicians to schedule the vaccination. Currently available licensed vaccines provide protection against four of the five subtypes of meningococcal disease. Since meningitis is spread primarily through saliva, Even recommends that students avoid sharing items that have come in contact with saliva, such as drinks, cigarettes and eating utensils. Even says suspected ill students need to get medical attention as quickly as possible to prevent serious complications and reduce the likelihood of infecting others. Even currently serves as the chair of the Vaccine Preventable Disease Advisory Committee for the American College Health Association. She also is the liaison for the ACHA to the Advisory Council for Immunization Practices, which is an organization under the Centers for Disease Control (CDC).